All that is needed to make this is fresh asparagus, prosciutto, parmesan cheese, and olive oil. Rinse and trim off the tough ends of the asparagus. Slice the prosciutto slices in half the long way. Wrap each spear with a slice of prosciutto. Place on a prepared baking sheet. Sprinkle evenly with parmesan cheese. Bake at 450 degrees for 15 minutes. 1 Preheat oven to 450 degrees. 3. 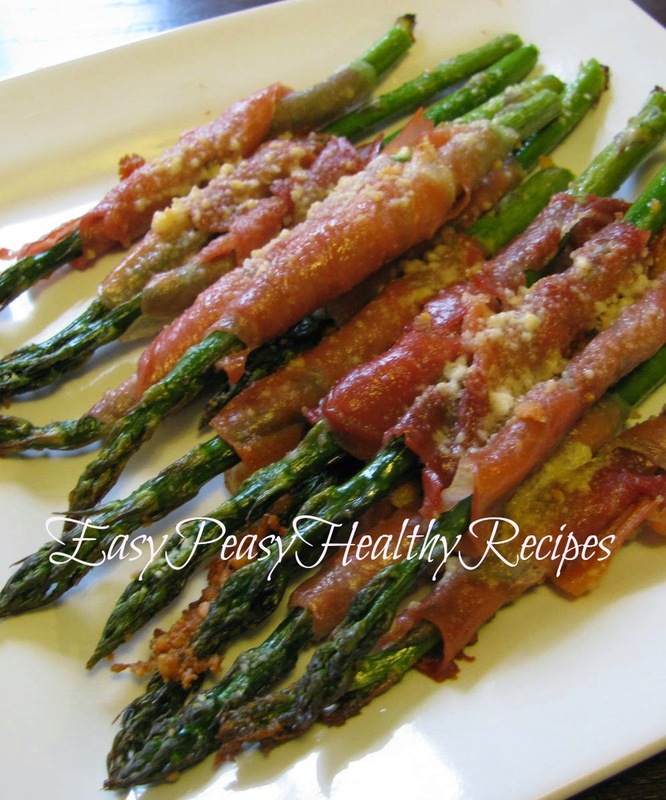 Wrap each spear of asparagus with a slice of prosciutto. Place on a prepared baking sheet. 4. Sprinkle parmesan cheese evenly over asparagus. 5. Bake for 15 minutes or until edges start to turn crispy brown.